All it takes is a peek under the market's hood to see several warning signs cropping up for stocks. Specifically, three measures of breadth, including the number of stocks advancing relative to the number declining - a way to take the market's temperature - have been experiencing some meaningful cracks recently. 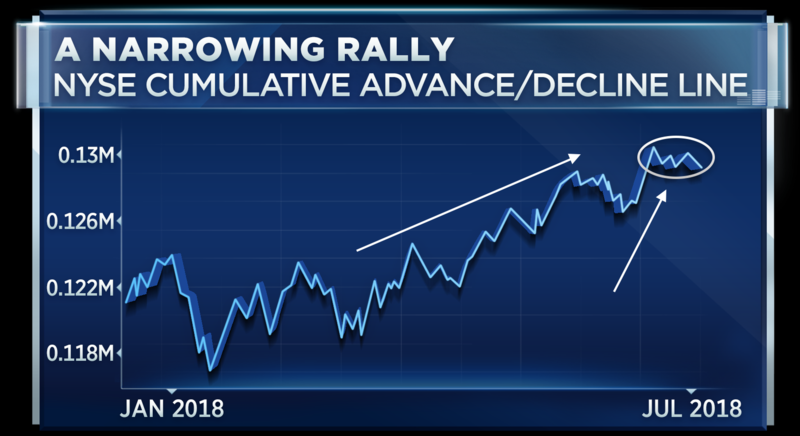 We've all heard about how a small number of high-flying stocks have accounted for most of the market's gains this year, but in fact the NYSE cumulative advance/decline line had actually been rallying quite nicely along with the market for most of the year. Although the so-called FAANG stocks and a few other large-cap momentum names have played a big role in the rally, the advance has not been as "narrow" as many have tried to portray - until now. The action in the advancers vs. decliners in the S&P 500 has been was disappointing. Despite a 13-point rally in the S&P 500 on Tuesday, the number of advancers was actually lower than the decliners in the S&P and the broader NYSE Composite Index. So there's no question that the most recent advance in the stock market is being fueled by fewer and fewer names. Then, there's the percentage of stocks trading above their 200-day moving averages. That measure is rolling over, and stands well below where it was during the January highs. 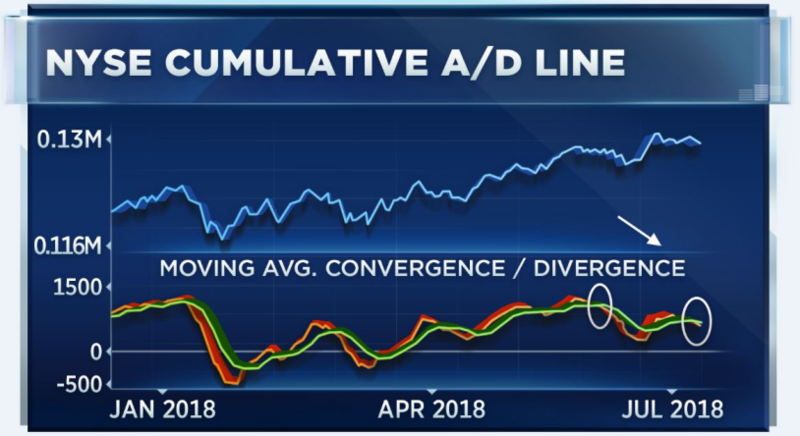 Finally, the moving average convergence-divergence indicator on the NYSE advance/decline line is seeing a negative cross at a lower level than it did in June. In other words, "lower lows" are never good on a chart. What do all of these indicators add up to? Consider this. When a rally in the stock market becomes narrower, it is usually a sign that the rally is running out of gas. 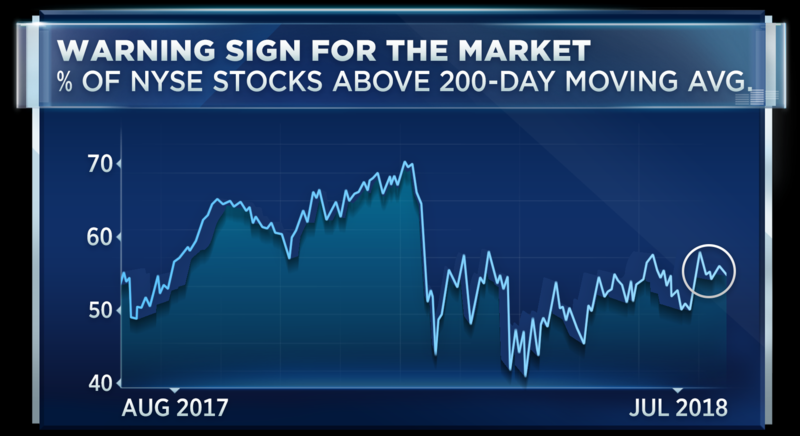 No, it does not mean that the nine-year bull market is about to crash to an end, but it is probably telling us that the stock market should be due to see a pullback soon. Therefore, continued breadth deterioration would be a sign investors should consider becoming a little less aggressive right now - and look to buy on any dips, rather than chase the market at current levels.